Oil is a vital component to keeping your engine running. If you did not have it, then you would eventually end up on the side of the road with your engine locked up. Engine lockup occurs when the pistons in your engine get so hot that they end up welding themselves to the cylinders that surround them. This can be prevented with the use of oil. Oil helps to dissipate this heat away from those pistons, to lubricate the area between the pistons and the cylinders, and to keep gunk and debris from building up. A preventative measure that you can take to prevent engine lock-up from happening is to make sure that you go and check how much oil is in your vehicle, and if it is too low, then make sure to top it up to the specified amount. The amount of oil in your engine should be between the two lines on the dipstick labeled “oil”. How Often Do You Need to Replace Your Oil? There used to be a standard when it came to getting your oil changed. The old standard used to be that you needed to get your oil changed every 3,000 miles. However, there has been a new standard that has come about because of the advances in synthetic oil technology. The new standard states that if you drive shorter distances mostly, then it is recommended to get your oil changed every 5,000 miles. If you drive longer distances everyday on the many highways in and around San Antonio, then the recommendation shifts to getting your oil changed every 7,500 miles. Some synthetic oil has been reported to last up to 10,000 miles! It is, however, highly recommended to not push your engine for that many miles because a heavy, black sludge will start to build up in your engine and could cause you problems down the road. Get Your Oil Change in San Antonio, TX Today! 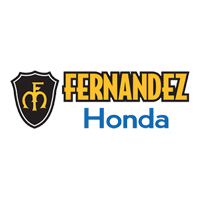 If it’s time to get your vehicle serviced, then come on down to our service center at Fernandez Honda in San Antonio, TX to get professional and quick service! Make sure before you come, to check out our service specials to save some cash. We are conveniently located at 8015 Interstate 35 S, San Antonio, TX 78224 for everyone in the San Antonio, New Braunfels, Austin, Houston or San Marcos areas. Give us a call at (210) 253-8500 with any questions!